For this week's giveaway, we've teamed up with Choetech to offer MacRumors readers a chance to win one of the company's new PowerDual 5-coil Qi wireless chargers, capable of charging two devices at one time. The PowerDual is a flat, oblong-shaped pad that is equipped with five overlapping wireless coils inside. It is big enough to accommodate two smartphones at once, and because of the overlapping coils, the two devices should charge regardless of placement on the charger. With flat chargers, placement can be an issue because the iPhone needs to be placed right over a coil to properly charge. That's a problem that's addressed with the PowerDual. It can accommodate two devices placed vertically or one device placed horizontally. For iPhones, 7.5W charging is supported, and if you put two iPhones on the charger at one time, both will charge at the faster 7.5W charging speed. For Samsung devices that support faster charging speeds, 10W charging is available. An anti-slip surface prevents your iPhone from sliding or slipping off of the charger, and anti-slip pads at the bottom keep the charger itself in place. Heat dissipation holes at the bottom of the device keep your phone cool while it's charging to speed up the process. Choetech is offering the charger, priced at $35.99, in either a smooth black finish or a faux wood grain finish. Powering the charger is done through an included USB-C port, but a power adapter is not included. You will need to supply a 5V Quick Charge 3.0 power adapter. 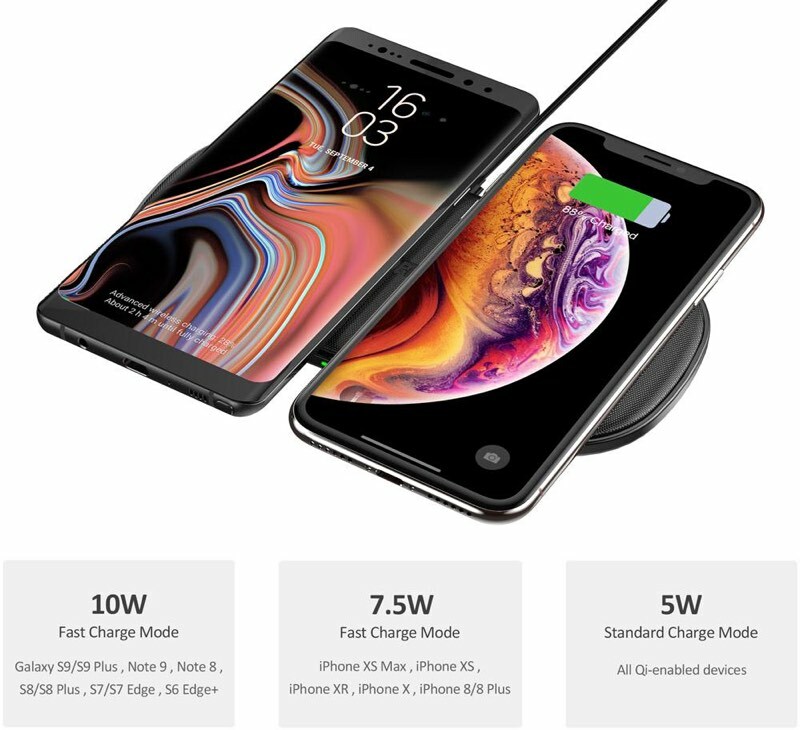 Choetech has also provided a discount code for the five coil wireless charging, discounting the price from $39.99 to $30.99. Just enter the code MACRU535 when checking out on Choetech's website. 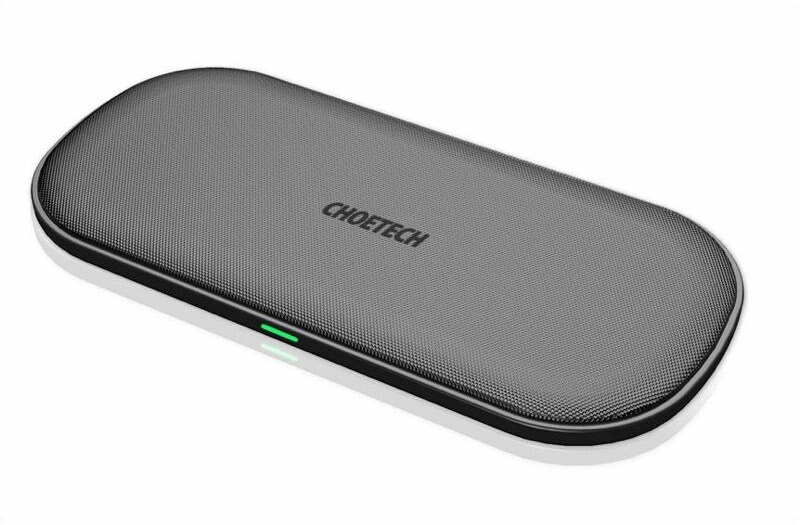 We have 10 of Choetech's PowerDual Wireless Charging Pads to give away. To enter to win, use the Rafflecopter widget below and enter an email address. Email addresses will be used solely for contact purposes to reach the winners and send the prizes. You can earn additional entries by subscribing to our weekly newsletter, subscribing to our YouTube channel, following us on Twitter, following us on Instagram, or visiting the MacRumors Facebook page. a Rafflecopter giveawayThe contest will run from today (December 21) at 11:00 a.m. Pacific Time through 11:00 a.m. Pacific Time on December 28. The winners will be chosen randomly on December 28 and will be contacted by email. The winners will have 48 hours to respond and provide a shipping address before new winners are chosen. Note: MacRumors is an affiliate partner with Choetech of these vendors. When you click a link and make a purchase, we may receive a small payment, which helps us keep the site running. So AirPower but for $35? Add an Apple logo and can charge $199 or more. Will this charge the apple watch? 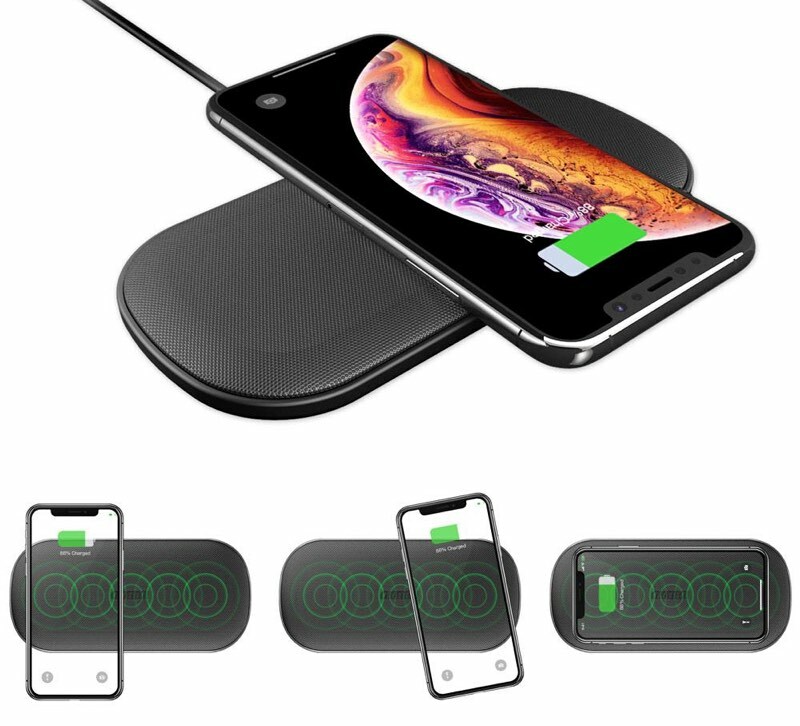 Sorry it couldn’t support Apple Watch, but we do have a wireless charger that would support iPhone and Apple Watch 4, it will release in next month. Want to know this also! Looks nice! I went with some cheap Yootech chargers on Amazon, 2 pack for mid $20's. Gifted one pair to one sister and split a second pair with another sister. None of us can get our apple watches to charge on them. AW3 LTE 38mm, AW3 42mm or AW4 LTE 44mm. I think part of the problem is the band, the watch just wont lay flat on them. I was really hoping to eliminate the watch charger from my night stand. Maybe if they had a dimple for the back of the watch to seat into the watch would charge. A few people have mentioned wanting a white charger....Just go for Ikea's triple Qi charger! Not the prettiest thing in the world, but for £60, it works great.